Waterloo – For the third year in a row, Wilfrid Laurier University has been ranked No. 1 in the country in its category for student satisfaction in the annual Maclean’s Rankings of Canadian Universities. Laurier is also ranked No. 1 in five out of 10 student-satisfaction categories, including No. 1 for Student Life Staff, Academic Advising Staff, Extracurricular Activities, Residence Living, and Administrative Staff. Laurier ranked No. 2 for Course Instructors. In the overall rankings, Laurier held onto the No. 6 spot nationally among the 15 Canadian universities in the “comprehensive” university category. Laurier also ranked No. 3 in its category nationally for Student Services. Wilfrid Laurier University is a leading Canadian university with a long-standing commitment to teaching, research and scholarship combined with a strong student focus, high levels of student satisfaction and a unique sense of community. 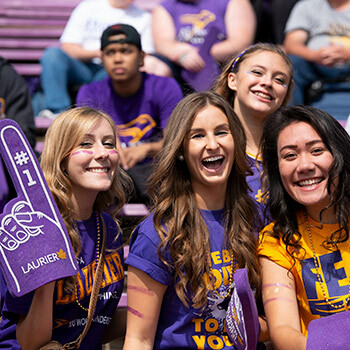 Laurier has combined undergraduate and graduate campuses in Waterloo and Brantford, and a new campus in Milton that will welcome its first class of students in September 2019. As well, Laurier has graduate social work programs in Kitchener, an office in Toronto, a part-time MBA program based in Toronto and a research office in Yellowknife.